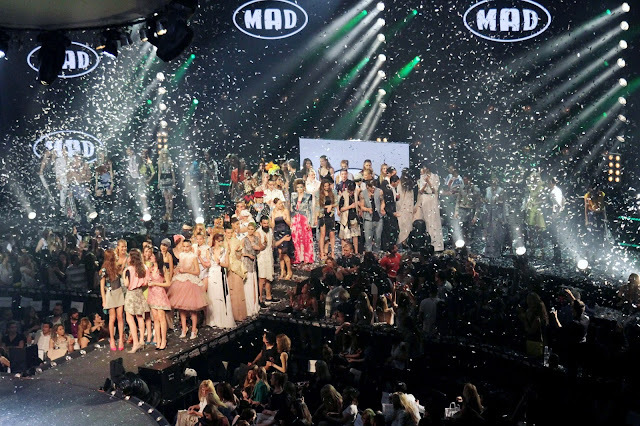 Yesterday evening at Athens Arena MAD organized for the third time the Fashion Music project, sponsored by Coca Cola Light. The Fashion Music project is a unique event in Greece where well-known and upcoming fashion designers present fashion shows with live performances by popular artists. Besides these artists also Courtney, Melisses, Playmen, Stan, Thomai Apergi, Konstantinos Argyros and Kostas Martakis gave live performances. Vicky Kaya and Mairy Sinatsaki presented the evening.